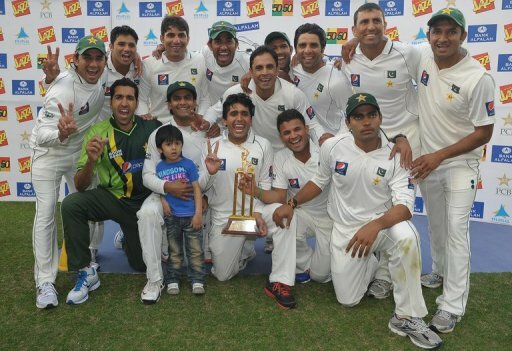 Pakistan’s 3-0 sweep of England, the No. 1 Test team, in the UAE was the most glittering result for a team that has managed to hold its own on the field despite facing a mountain of problems off it. Here’s a look at the key players in Pakistan’s resurgence as a Test team. Ten months ago, Misbah-ul-Haq was a condemned man whose time as an international cricketer seemed over after he was made the scapegoat for Pakistan’s defeat to India in the World Cup semi-final in Mohali. Today, he is being heralded as an astute leader of a team bristling with pride and rightful claims to being a top-level Test side. Handed the captaincy ahead of Pakistan’s series against South Africa in the UAE in 2010, the soft-spoken, almost laidback Misbah has been hugely influential in steering Pakistan from a host of troubles and to series wins over New Zealand, Zimbabwe, Sri Lanka, Bangladesh and England – not to forget a draw with South Africa – and just the anomaly of a 1-1 scoreline against West Indies. He hasn’t always been a proactive captain – his reluctance to push for a win against Sri Lanka in Sharjah last November attracted criticism – but his numbers as leader have been highly impressive: 15 matches, 1165 runs, average 64.72, with one century and 12 fifties. That one century – an unbeaten 102 in the second innings at Basseterre – played a big role in Pakistan leveling the two-Test series in the West Indies in May 2011. Innings of 99 and 70 not out earned him the Man-of-the-Match award in Wellington in January 2011, and those were clutch innings in a draw that gave Pakistan their first series victory outside the subcontinent since a triumph in New Zealand in 2003-04, and their first anywhere since 2006-07. In the first innings of the second Test against England in Abu Dhabi, Misbah top-scored with 84 on day in which the opposition dominated, and what a key innings it proved. If there is one player who personifies Pakistan’s new-found aggression and fluency, it is the leader of their immensely proficient spin attack. Ajmal, 34, has been a constant threat to opposing teams with his accurate, nagging and attacking offspin, with his doosra causing batsmen much strife. His role as a strike bowler – he has bowled 696 overs in those 12 Tests, the most for any Pakistan bowler – has taken pressure off Umar Gul and meant he has been relied on to consistently take wickets. His success is staggering. In 12 Tests under Misbah, Ajmal has reaped 77 wickets an average of 22.63 and strike-rate of 54.20 – significantly lower than career figures of 26.70 and 61.20. Along the way he picked up Man-of-the-Match awards for eight wickets in a nine-wicket win over Sri Lanka and in Dubai and 10 – including a career-best 7 for 55 – in a 10-wicket win over England at the same venue. He was the leading Test wicket-taker in 2011, and so far this year he has grabbed 24 wickets in three Tests against England. In this recent series, the England batsmen were largely baffled by Ajmal’s variety. In the second Test, he became the fastest Pakistan bowler to 100 Tests, and to make his achievement more remarkable, he has not played a single of his 20 Tests at home. If Ajmal has been an expected success during Pakistan’s run under Misbah, then the 31-year-old Abdur Rehman has been a surprise package. In 13 Tests, this canny left-arm spinner – enjoying unexpected success in his late-blooming career – has been a constant threat with 64 wickets at an average of 26.57. With an almost immaculate line and length he has attained turn and dip while convincing batsmen to play back when they should have been forward. Nothing summed this up better than the series against England, when he made several reputed batsmen appear hapless against spin, none more so than Eoin Morgan. However, it was Rehman’s Man-of-the-Match performance against New Zealand at Hamilton in January 2011 that really made him a certainty in the playing XI. His three wickets in each innings and a crucial innings of 28 helped propel Pakistan to victory in the first Test. This year, a career-best 6 for 25 routed England for 72 as Pakistan grabbed the series in Abu Dhabi, and in the final Test his 5 for 40 was decisive in Pakistan reducing England’s lead to 42. His 19 wickets in the series played a huge role in a 3-0 scoreline, and highlighted what a key ingredient Rehman has been for Pakistan. Like Ajmal, he has bowled a lot of overs – 683.4 – while rarely allowing the batsmen to dominate. Rehman’s batting has been handy too, with an average of 13.s8 and a half-century offering some stability to the lower order. The only fast bowler to play consistently under Misbah, Umar Gul has carried himself with discipline all throughout. Ajmal and Rehman have hogged the wickets, but Gul’s 49 victims at 29.79 have been every bit as crucial in the team’s success. The reliance on spin has eased Gul’s workload – he has bowled 452.5 overs in 13 matches – and this has undoubtedly led to the tall fast bowler not breaking down from injury, as he was prone to do so earlier in his career. His eight-wicket haul at Wellington was a stand-out effort in overseas conditions, and even on tracks in the UAE he has plugged away relentlessly, as 29 wickets from eight matches show. In the first Test in Abu Dhabi, Gul responded to a flat surface with a hostile spell on the third day – during which he surpassed 150 Test wickets – as his new-ball incursions bagged him four wickets before Ajmal and Rehman wrapped up the rest. In the third Test in Abu Dhabi, Gul’s four wickets on the final day set the course of the match categorically towards Pakistan. The spinners have been the talking point of Pakistan’s success, but Gul’s role cannot he underestimated. At last looking like he belongs at Test-match level, Mohammad Hafeez has flourished in his latest avatar as opener and key ingredient in Pakistan’s spin-heavy bowling attack. With the bat, he has offered solidity to a top order that has for too long been shaky, scoring 967 runs in 15 Tests at an average of 38.68, including two centuries and four fifties. With Taufeeq Umar – another cricketer enjoying a new lease on his international career – Hafeez has stitched together three century stands and four of 50 or more. For a side that used to regularly chop and change openers during the last decade, Hafeez’s pairing with Taufeeq over 15 Tests has been nothing short of solid. Relied on heavily with the ball – he has bowled 250 overs – Hafeez has repaid the faith with 51 wickets at 26.36. His brisk offspin has helped Ajmal and Rehman take much-needed breaks in the field, and when tossed the new ball in Guyana he responded with wickets. The highlight of Hafeez’s run over these 15 Tests was a fine all-round performance against Zimbabwe in Bulawayo, where Hafeez followed a quick-fire 119 with four wickets and a brisk 38 in a successful chase. Given an extended run as opener after a four-year hiatus, the 30-year-old Taufeeq has scored 1055 runs in 15 Tests under Misbah while averaging 39.07. His batting hasn’t always been attractive, as a strike-rate of 43.18 indicates, but the fact that he has been able to deliver platforms has been immense. Two fifties in New Zealand helped blunt the threat of the home team’s pace bowlers in seam-friendly conditions, and his 135 in the second innings against West Indies at Basseterre helped Pakistan level the series. A career-best 236 followed against Sri Lanka in Abu Dhabi, as Pakistan drew the first Test. It was a marathon effort that helped grind Sri Lanka patiently through the second day, and Taufeeq was just pipped by Kumar Sangakkara for the Man-of-the-Match award. A seventh Test hundred would come against Bangladesh soon after. Taufeeq’s form trailed off after a fifty in the first innings of the series against England, but his success in Pakistan’s resurgence merits further persistence. The former Pakistan captain has come back excellently from a ban imposed by the PCB after allegations that he had been partially responsible for infighting within the team. His 1138 runs at 66.94, including four centuries and four fifties, have been invaluable to Pakistan. His presence in the middle order has steadied the team numerous times, not least when he scored centuries against South Africa and Sri Lanka to go with twin fifties against New Zealand at Wellington. But his most responsible innings came in the second innings of the third Test against England, as an out of form Younis took the game away from the opposition with a superbly crafted century. Yet again, he had summoned the resolve to produce a century when his detractors were gunning for him. Of the younger players that have flourished under Misbah, 26-year-old Azhar Ali has been the most successful. His 1220 runs from 15 matches at 50.83 include two centuries and 11 fifties, and he has been a consistent performer at No. 3. Three consecutive half-centuries against South Africa got him going after an indifferent start to his career, and from there he ploughed on with fifties against each of the teams he played. His two centuries – 100 against Sri Lanka and 157 against England – were proof that Azhar has a long career ahead of him. Two unheralded Bangladeshi tail-enders with ice in their veins played the innings of their lives to subject England to yet another giant-killing act on Friday. Shafiul Islam (24) and Mahmudullah (21) defied the nerve-jangling pressure to forge an unbeaten 58-run ninth wicket stand to complete a two-wicket Group B victory that even their captain did not think they could pull off. “I never believed they can win it for us. It’s only after hitting the winning run that I believed they have done this,” said Bangladesh skipper Shakib Al Hasan, whose house was stoned by irate fans after the team’s defeat by West Indies last week. At 169-8, Bangladesh’s chase for a 226-run victory target on a tricky track looked so doomed that even some of their ardent followers exited the Zahur Ahmed Chowdhury Stadium shaking their heads, not realising the drama that was about to unfold. Aided by England’s profligate bowlers who conceded 33 extras, including 23 wides, in the see-saw contest, both the tail-enders kept going before Mahmudullah drove Tim Bresnan through covers to seal the match with one over to spare and trigger wild celebrations. Tamim Iqbal (38), Imrul Kayes (60) and Shakib (32) chipped in with useful cameos but Shafiul and Mahmudullah were the toast of the nation. Wary of the dew factor, Shakib won a good toss and opted to field and he had reasons to feel vindicated when the English bowlers struggled to grip the wet ball in the evening. England’s batting was also inconsistent and if it had not been for the knocks by Jonathan Trott (67) and Eoin Morgan (63), they might not have even scored 225 all out. They looked completely shackled by the home team bowlers, managing just four boundaries in the first 20 overs. Once again, they could not make the most of their batting powerplay either, managing just 33 runs and losing two wickets. Defending a below-par total, English bowlers seemed to have turned the table on their hosts before being thwarted by Bangladesh’s spectacular rearguard resistance. “We are very disappointed, it was a missed opportunity for us,” rued England skipper Andrew Strauss, admitting problems both in the batting and bowling departments. Consistency has been a real problem for the team which narrowly escaped an upset against the Netherlands, tied with India, went down to Ireland before losing to Bangladesh here. “These defeats hurt, there’s no doubt about it,” said Strauss, whose side could have sealed a place in the last eight if they had won Friday’s match. England now need to win their final match against the West Indies on March 17 to be sure of a quarter-final place while Bangladesh next face Netherlands on Monday and then South Africa on March 19. Wins would take them through. It is standard for newspapers, including ours, to include the following sentence in almost any story about India and Pakistan: The two countries have fought three wars since Independence in 1947. You do not read the same about England and Germany: The two countries have fought two World Wars since 1914. Except at times like this. For a series of reasons, part historical part psychological, there may be no match up in soccer that is quite equivalent to England versus Germany. Not for the quality of the football although Germany last night ran over England at the FIFA World Cup 2010 with some of the best football of the tournament so far, winning 4-1. Germany now advances to the quarter finals. Nor does the significance of the game come from the fervor of football in each country. Yes, both are football crazy but there are plenty of countries that take football as seriously, if not more so, as these two do. But there may be no bigger game when it comes to two nations who view each other as former enemies, now allies and rivals. Indeed, it is hard to imagine any other sporting event where two major nations weave so much national drama into men running around on grass, with the possible exception of when India and Pakistan play at cricket. India and Pakistan, meanwhile, are caught in a diplomatic netherworld between war and peace that only now is showing signs of some thaw. England and Germany, overall, have prospered in the past few decades, even if Germany’s industrial might means its economy has eclipsed that of the U.K.; India has prospered while Pakistan has struggled as the two nations took dramatically different courses, politically and economically, post Independence. Yet there are times when sport comes to represent something that defines relations, seizes national imaginations and confirms dearly-held stereotypes, and that is the case with England versus Germany at football and India versus Pakistan at cricket. It is not that the fans of either team hate the fans of the other (despite what you read in the British press at times like this.) It is a strange mix of respect, rivalry, historic ties, insecurities, bluster, hope, fear and a desire to read deeper meaning in a game of football that makes these games so compelling. It is a time when entire nations stop to watch. When everything else is eclipsed in favor of one game and people want to think they are watching something that will go down in the history books, a marker of where they were when. England also got the required controversial referee’s decision that will let it, as a nation, worry over its beads for years: a shot by Frank Lampard that clearly bounced over the line but which was not allowed as a goal. That would have equalized the game at 2-2 and who knows what would have happened next, mate, it would have done the England team no end of good mate, you hear what I’m saying, it’s all about the psychology and that was devastating for the lads, just devastating wasn’t it and I’m not saying that Germany didn’t outplay them, mate, but you’re never gonna win when the ref’s an #%^& and mine’s a pint of lager. “Fabio’s flops are battered in Bloemfontein,” said The Sun, a reference to English manager Fabio Capello. The headline ran on top of a picture of Frank Lampard realizing he hadn’t scored. “Three Lions Muller-ed by Germans…and the Ref,” said The Mirror, a reference to Thomas Muller, who scored goals three and four for Germany and the referee. Imagine an umpiring decision that incorrectly dismisssed Sachin Tendulkar from the crease against Pakistan. 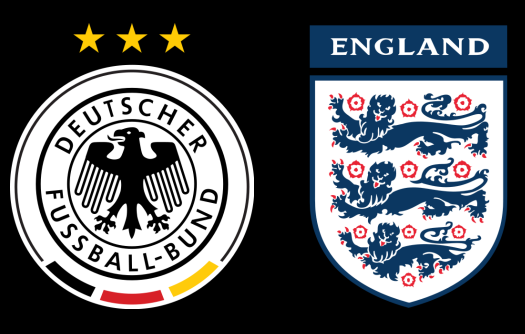 This was a matchup that probably carried greater weight for England than for Germany, even before the opening whistle. Germany has had the better of England in big tournaments in the last several years. Germany also took a famously young side to these World Cup finals; many of them will return four years from now. Not so England. Only are handful – and not including Steven Gerrard, John Terry, or Mr. Lampard – are likely to have a shot at Brazil 2014.